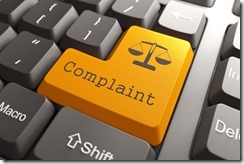 Employee Sues Rude Customer: End of Customer Service as We Know It? Customer service is brutal. Anyone who has had to answer to the public as an essential component of his or her job duties will tell you. It’s positively brutal. Even the best employees will not be able to satisfy every customer. The reality is that there are some people who just will not be happy no matter what the circumstance. Employees are expected to take it on the chin when a customer overreacts or complains without justification. But what if an employee doesn’t want to just “let it go”? What if the employee feels that she’s been wronged by the customer who berates her or otherwise lashes out. What if the employee feels so wronged that she sues the customer? That is precisely what happened in Patterson v. Herms. In short, the plaintiff-employee, Jennifer Patterson, was working as an operations agent for Southwest Airlines when the defendant, Natalie Grant-Herms, and her three children attempted to board a flight without a boarding pass. Patterson intervened and a confrontation ensued. Afterwards, Grant-Herms tweeted her “displeasure” both with the airline and with Patterson. I’ll spare you the specifics but suffice it to say that the tweets were very typical of online rants-incendiary and accusatory half-truths. (See Venkat Balasubramani’s post at the Technology and Marketing Law Blog for the tweets). Patterson, acting without a lawyer, filed suit against the unhappy customer, alleging defamation and invasion of privacy. The customer moved to dismiss but her motion was denied. After the close of discovery, the customer tried again with a motion for summary judgment, which was granted by the trial court. Patterson appealed. On appeal, the court affirmed the decision to dismiss the defamation claim but reversed on the invasion-of-privacy claim. Although the decision may seem alarming, there are several factors that mitigate the impact. For example, the plaintiff represented herself pro se, which gives her some leniency in her pleadings. Nevertheless, it is somewhat unnerving to think that a handful of angry tweets will now result in a trial. But what interests me even more is how Ms. Patterson’s employer must feel about this whole kafuffle. Imagine your employee sues a customer (even a really lousy one) over that customer’s online outburst (even a really outrageous one). Oh, it’s a whole new world, isn’t it? Patterson v. Herms, No. M2013-00287-COA-R3-CV, 2013 Tenn. App. LEXIS 675 (Tenn. Ct. App. Oct. 8, 2013).